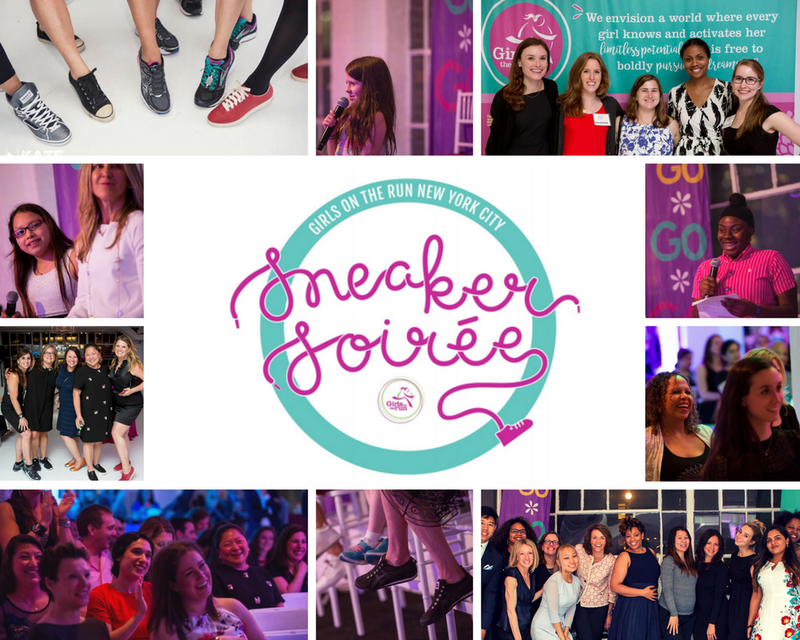 Tickets for the annual Sneaker Soirée are open! We have Spirit Tickets and Sparkle Packages available, including an exclusive cocktail hour and Girls on the Run NYC themed activities. Our speakers for the night include Benita Fitzgerald Mosley (Laureus USA), Adena Jones (SoulCycle), Joyce Chang (the Get Go), and Brynn Putnam (Refine Method, MIRROR), along with girls from our program. 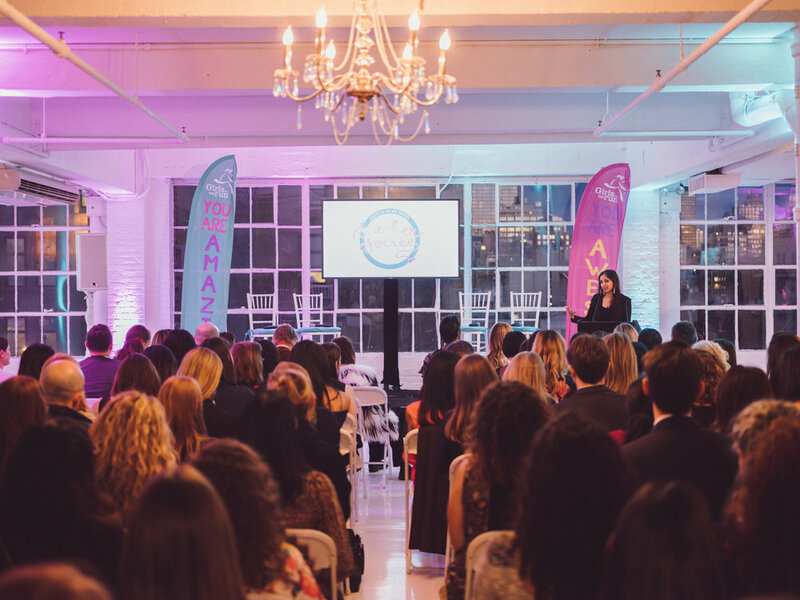 The night includes these key speakers, a panel conversation on the importance of girls’ leadership, local food and drinks, an exclusive silent auction, dessert from women-owned local businesses, and so much more! Each person who gives a donation through the Soirée will have their name listed on our Star Supporters wall throughout the evening, with donations of $350 and above (representing one girl in our program) elevated from the stage during the program portion of the Sneaker Soirée. You are invited to give in honor of a friend, family member, or group, and dedication messages are available. 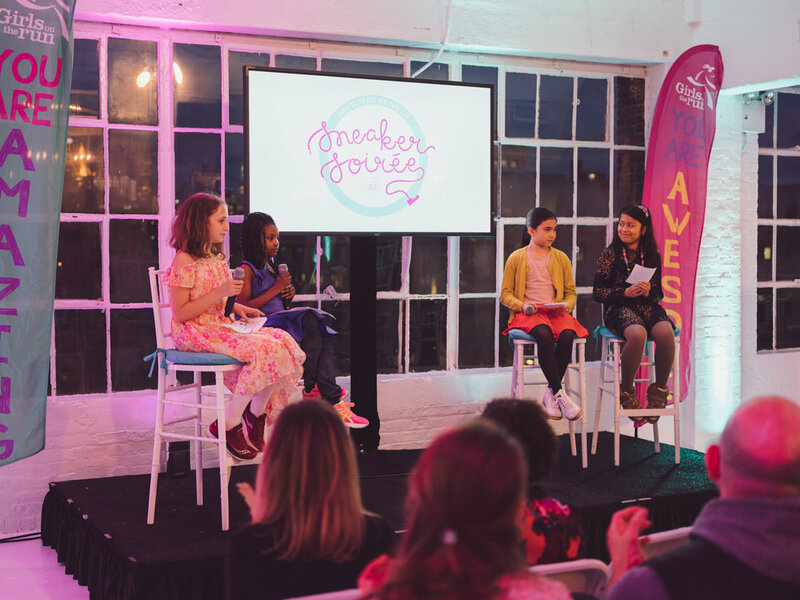 Sponsorship opportunities for the Girls on the Run Sneaker Soirée are currently available through April 20. If your company has an interest in providing silent auction items for the event, please fill out our Silent Auction Interest form. Thank you to our silent auction supporters! You can begin early bidding on the silent auction through this link. Our silent auction will close at 9:15pm Eastern Time on May 2, 2019.